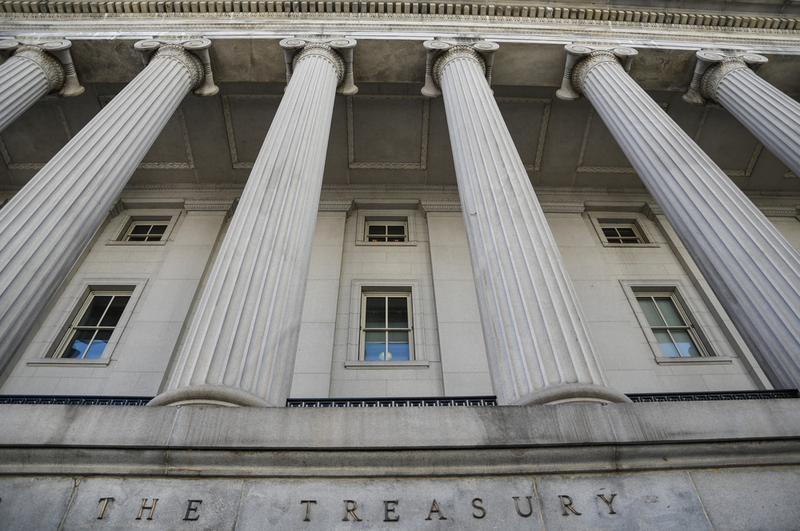 NAFCU and CUNA officials praise the Treasury Department's regulatory recommendations. Credit union trade groups praised the Treasury Department Tuesday for its regulatory recommendations governing financial institutions, but one lobbyist said that personnel changes may be needed before they can be implemented. “It’s reflective of the input that we and…credit unions gave Treasury,” said Ryan Donovan, CUNA’s chief advocacy officer. Donovan said CUNA is pleased with such proposals for NCUA to revise risk-based capital, change to the exam cycle and call report rules and changes proposed for the CFPB. And while it may take legislation to institute some of the changes, some can be done by the agencies. “There is a great deal of policy that can be done through the regulatory process,” he said. Donovan added that the NCUA board would be more likely to adopt some of the recommendations once the board is controlled by Trump Administration nominees. The board currently has one vacancy and Trump can choose a Republican for that seat. And some of the changes are proposals that CFPB Director Richard Cordray could institute himself, although he is likely to do so. Those changes may have to wait for a Trump-appointed director. NAFCU also praised the Treasury report. “While there is substantial work that remains ahead, NAFCU looks forward to building off of the groundwork laid by Treasury’s recommendations to strengthen credit unions and the communities they serve,” NAFCU President/CEO B. Dan Berger added. NAFCU officials said that they are pleased with several proposals: plans to revise risk-based capital requirements, providing an examination cycle of at least 18-months and extending that to institutions above $1 billion in assets, and requiring the CFPB to issue guidance on its enforcement based on Unfair, Deceptive, or Abusive Acts or Practices. They also said they are pleased with the report’s call for additional changes at the CFPB. The Treasury Department released its report Monday evening. The recommendations include actions that agencies can implement on their own, as well as a laundry list of changes that would require congressional approval. The CFPB clearly was a target for the Treasury Department, with the report calling for it to be subject to the appropriations process. In addition, the CFPB’s supervisory powers would be eliminated. Agency governance would be changed, with the CFPB governed by a director who could be removed by the president at will or a five-member commission. Those changes would require congressional approval. The House last week passed a comprehensive Dodd-Frank overhaul plan that would basically neuter the CFPB. However, the Senate is still examining ideas for how to make changes to Dodd-Frank, with the Banking Committee trying to work on a bipartisan basis. Since any congressional changes to the CFPB would require 60 votes to pass the Senate, that chamber is likely to call for more modest changes to the agency. Indeed, Senate Democrats quickly condemned the Treasury report. He also attacked the Treasury Department for having met with 244 banking representatives and only 14 consumer groups, as it prepared the report. Another Senate Democrat, Elizabeth Warren of Massachusetts also rejected the Treasury report. “This report calls for radical changes that would make it easier for big banks to cheat their customers and spark another financial meltdown,” she said. But in a sign that bipartisanship may prove elusive in the Senate, Banking Chairman Mike Crapo of Idaho praised the Treasury recommendations. A consumer group echoed the Democrats’ sentiments. The Treasury proposal pushes ideas that industry lobbyists have pushed since Dodd-Frank. “We need more effective regulation and enforcement, not rollbacks driven by Wall Street and predatory lenders,” she said.